Athena Cat Goddess Wise Kitty: It's too hot! It's been very hot in London lately and it makes me tired and I don't like it. 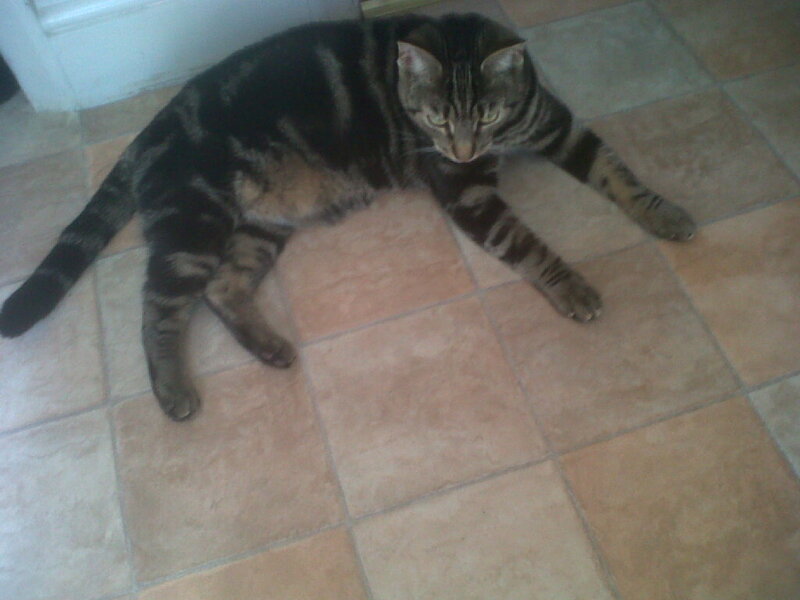 Here I am cooling off on the kitchen floor because the carpets in the other rooms make me hot! I'm also nearer the refrigerator here so I can keep watch for any extra tasty treats that might come out of there! We have tile floors all over, so I understand. But we also have fans and the air cooly thing. Carpet is only good if it's cold! It's hot here today too! Thank cod we've got the cold air blowing thingey on. We have the fans too but still very hot! I sympathize. It hasn't gotten all that hot here yet, but it probably will. 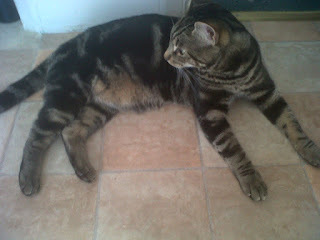 Kizzie also likes our tiled dining room floor for resting on and keeping cool. But if possible she goes outdoors and shelters if it rains.